BACKGROUND: An education in engineering and music along with work as a live sound and studio engineer have provided a solid foundation for the various jobs he's had in pro audio. SCN: What does your position entail? 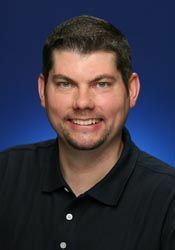 Dale Sandberg: As senior product manager for QSC Audio Products, my current area of focus is the Installed Sound market. I am responsible for developing and managing the products and systems that go into fixed installations from small, distributed systems to large-scale applications. A big part of my job is to think three to five years ahead and imagine how the customer will want to design and interface with their system, then work to create the products and services that minimize the complexity and make them an intuitive and truly innovative system. DS: This is a new position that I began in November 2007. Before this I was a product and marketing manager within the Harman Pro organization, specifically for dbx Professional Products and BSS Audio. My education in engineering and music along with my work as a live sound and studio engineer has always provided a solid foundation for the various jobs I've had in pro audio. In addition, my technical support experience has given me an understanding of the challenges that integrators and engineers face. The sum of all this knowledge and experience drives me to develop more intelligent and innovative products that will continue the QSC legacy of provide outstanding value to the customer. DS: My short-term goals revolve around extending our existing product lines to support our customers in their applications with a complete suite of products. My long-term goals are all focused on ensuring that QSC has the complete system solutions necessary for integrators at all levels. DS: The greatest challenge I face is to help our customers, internal staff, and the market as a whole recognize that QSC is more than an amplifier company. We're a complete systems provider, and everything we make is backed by the same outstanding service and reliability everyone has come to expect from us. DS: The installation market is at a very interesting junction. We see a number of contractors who historically have not been involved in audio trying to add value to their customers by adding sound and/or video services, at the same time many of our long standing audio customers are also trying to add value by adding IT and other services to broaden their appeal. I believe that while this period may be a little frightening for many of the traditional audio integrators, if they are willing to adopt other technologies it will make them much stronger and more competitive. From a product development standpoint it means that we have a divergent customer base: some customers require extra support, while others are becoming even more proficient with multiple technologies. It is a period with significant potential for manufacturers where we can extend our customer base if we are willing to provide simple tools to make integration easier for the neophyte, while adding greater value by increasing the capabilities of our high-technology product for the more proficient integrator. SCN: QSC is celebrating its 40th anniversary this year. What can we expect in the next 40 years? DS: More Systems. I believe that the industry is really asking for complete systems that are designed from the ground up to work as a system. QSC is poised to become a leading provider of these systems enabling contractors and integrators at all levels to provide more value to their customers. DS: There are two answers to that question. The first answer that is somewhat broad but is also probably the best, is take the time to invest in your businesses; the type of investment that I am talking about here is education. Many of us got into this industry because we love working with sound. This in and of itself is great but if we are continually busy installing systems we cannot take the time to improve ourselves and learn about new technologies and solutions that may be better for our customers. This investment could be taking a class about IT networking, refreshing our understanding of acoustics, and/or learning about new design technologies. It is difficult at times to make the investment in our selves and our businesses, but it will make us more valuable and truly make us capable of providing the solutions that our customers look to us for.